He accused the pilot or co-pilot of intentionally stealing the plane to commit the act. The plane disappeared on March 8 2014 after it took off from Kuala Lumpur on its way to Beijing with 239 people on board. The plane has never been found, leading to a tangle of theories as to what could have happened to it. Former investigator with the Transportation Safety Board of Canada Larry Vance called it a “criminal event”. He claimed that the pilot or co-pilot made the decision “to take it to a remote part of the ocean and make it disappear forever”. Mr Vance spent 18 months researching for his book MH370 Mystery Solved, but he was not part of the official investigation by the Australian Transport Safety Bureau. He teaches courses in accident investigation and uses MH370 as course material. He claimed that the debris found on the coast of eastern Africa indicates the plane was deliberately landed in the ocean. After examining detailed photos of the debris, he made an assertion about two pieces of wreckage from the flap system on the right wing of the plane - the flaperon and the section of flap next to it. Mr Vance and his team claim that marks on these parts indicate the flaps had been down when the aircraft hit the water, meaning the plane had entered at a relatively low speed. He said: “We would call that a controlling ditching into the water. “The only way that could happen is if someone was flying the aeroplane. This theory necessarily rejects the idea that the plane was on autopilot and ran out of fuel. Mr Vance admitted that he could not say for certain whether the pilot, Captain Zaharie Ahmad Shah or co-pilot, 1st Officer Fariq Ab Hamid, were the perpetrator. However, he said the most likely suspect is Captain Shah, who had ordered two extra hours of fuel before the flight. 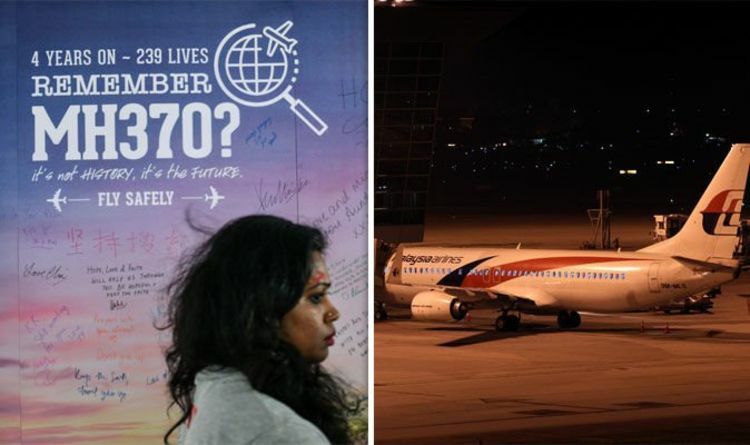 He added that he believes it was Captain Shah who turned off the transponder to make the plane disappear from radar, then turned off the lights in the passenger cabin and depressurised the plane. He said: “And that’s just one switch, he can flick one switch and the aeroplane is depressurised." The retired investigator added that this would have rapidly made the passengers unconscious and then die from lack of oxygen. However, not everyone agrees with Mr Vance’s theory. He said there were two viable theories - that someone was in control of the plane or not - and that “there’s evidence that supports both of those theories”.